Welcome to the best PSE Archery recurve bow reviews and guide to PSE’s accessories. PSE have bows for youth to adult and from starter to ‘old pro’ and just about anywhere in between. The comparison chart below lists the most popular recurve bows manufactured by PSE Archery. A side-by-side comparison is possible, and you can click the “Our Review” link to read a very detailed overview of that recurve bow. Our page is constantly updated, including new information and reviews of previously unlisted PSE recurves. You can also check out our list of all PSE Archery recurve bow reviews. Bow Weight 3.1 lbs. 2.2 lbs. 3 lbs. Draw Weight 45 / 50 lbs. 20, 25, 30 lbs. 45, 50, 55 lbs. PSE (Precision Shooting Equipment) Archery was founded in 1970 by an engineer with a passion for archery. Currently located in Arizona, PSE is the largest manufacturer of archery equipment in the United States and holds multiple patents in the industry. 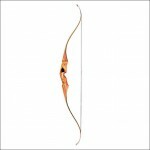 They have a wide range of offerings that go well beyond just traditional archery. Two of their recurve bows even made our top ten list (the Blackhawk and the Razorback). They have an impressive website that does a good job of showcasing their many offerings in a user-friendly format. They have even gone so far as to include an entire section dedicated to product manuals, product literature and even technical papers all in downloadable PDF format. What are some similar features found in PSE recurves? 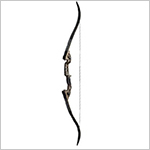 PSE only offers one recurve bow in this category, but it is dedicated to bowfishing. One cool idea they had was to actually also offer it as a package deal where it is rigged and ready for the water. Check out our review of the PSE Kingfisher recurve bow. 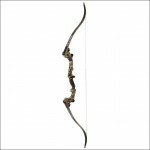 PSE offers 4 takedown bows designed for competition. Most of them are available in either blue or red and are certainly worth a look if you want to go the competition route. One look and you can tell these are some mean shooters! The Heritage and the Summit are two fine examples. In their traditional category, PSE offers a single one-piece bow (the Blackhawk) and 5 takedown bows. Each and every one of these could be purchased as displayable art…but then what fun would that be? If you are wanting to maximize your power and accuracy, it is hard to beat a longbow; and PSE offers 3 different bows in a wide range of draw weights as well as even some dedicated models for the lefties. These are not only wicked shooters, but you may just be ready to be an extra in the next Lord of the Rings with their classic look! PSE has a wide range of accessories available in a broad range of categories. Below is a sampling of what they have to offer. PSE has a good line of Carbon Force Arrows available. Whether you want the shaft only, or would rather have them fletched, you should be able to find the right arrow for your shooting needs. PSE offers an assortment of rests suitable for most any shooting need. They also offer a good range of sights should you decide to step away from instinctive shooting, although I don’t have any experience with them. The marketing folks at PSE have had a good time with their clothing lineup. You can get everything from hats to shirts to shooting jerseys with their logo. You can even get a great jacket as well. All of these are available for men and women and even a good selection for youths. Their Sneaky Pete Feet is a pretty cool offering that allows you to wrap your hunting boots with thick pads to dampen your steps and keep from spooking your prey. There are a large number of quivers offered by PSE. From sporty ones to show off at the range to ones that are suitable for the field, you should have no trouble finding a quiver to fit your needs as well as taste. This is a category that is not often found from an archery company, but we felt it really needed to be included. Given how so many shooters really get into their preferred brand, PSE has created a lineup of gear to let everyone know you are an archery fiend. From clocks, to backpacks to travel mugs, you can really customize your look. License plate holders? Check. Decals? Check. Did I mention you can even get a shop stool with their logo for the man cave? 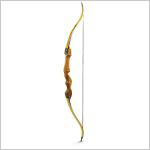 If you really want to purchase a used PSE recurve bow, we recommend only doing so over a service or site where it’s possible for you to personally inspect your bow before buying. Any used recurve can have defects that the previous owner may or may not be aware of, and which can only be recognized by an experienced shooter. We generally tell beginners it is better to get an inexpensive (depending on budget) new recurve, instead of buying a top-end used model that looks like a better deal. 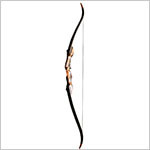 Take a moment to check out our top 10 recurve bows where you can read reviews and compare prices. PSE is a huge company with a fantastic range of offerings. 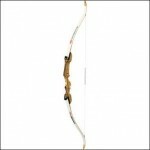 Most of their recurve bows are a great value and are really durable. We would warn you to have a good look at all of our reviews before purchasing as there have been a couple of models with some issues. Overall, you would be hard pressed to go wrong with a PSE recurve, and from what we have heard from many of our subscribers, they are very fair in their treatment of customers if warranty issues arise. Could you guys do a review on the PSE Cody Recurve Bow?